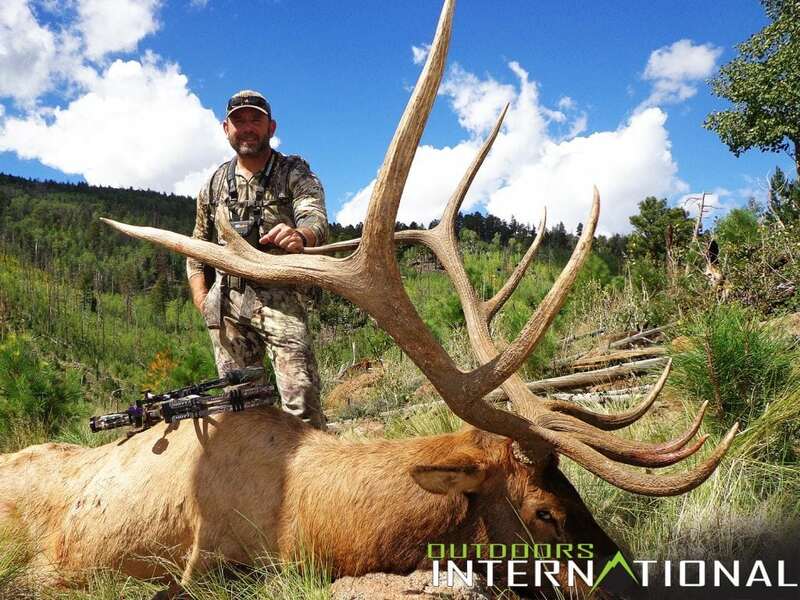 Russ Meyer hunts elk with his bow in Arizona and takes a MONSTER five! They grow 'em pretty big in Arizona. The 2013 application deadline for an Arizona archery elk tag was rapidly approaching and I found myself in a dilemma. I had stopped applying in Arizona in 2008…I just wasn’t sure what I wanted to do. My original plan was to chase a top Arizona unit to the end. For some reason I had all but given up. With 7 points and pushing 45 years, I began to rethink my goals. It seemed the “giant” bull wasn’t nearly as important. What became important was being able to speak first-hand to my guys that were considering an Arizona elk hunt. 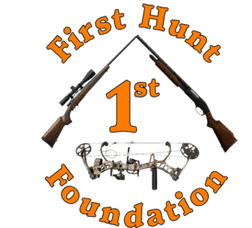 I’m a hunting consultant with Outdoors International and I felt it was very important to be able to share my experience. I was ready for a new adventure and the thought of a wolf-free area also made it an easy decision. My hunting partner, Ken, was on-board. After a short conversation we began the process of narrowing down the units we felt we could draw with the points we’d acquired. Ken and I have chased critters with our bows together for several years. We’ve shared some amazing hunts. We soon agreed a high-mountain hunt was what we wanted. Having cut our teeth chasing elk in the mountains of Idaho and Wyoming we figured the high peaks, spruce, and aspen would be a familiar sight. I contacted David, one of our AZ outfitters, and it didn’t take long to decide on a unit. He was very helpful and before long, maps were in hand and we’d logged several hours on a game plan, with the help of Google Earth. Like so many hunts, opening morning was on us in a blink-of-an-eye. Of course we were a bit late, having pulled the toy hauler up a road truly suited for a four-wheeler. It didn’t look that bad on Google Earth! After three hours of sleep we were greeted at the trailhead by other hunters. Plan B was now in effect with a 1,200 ft ascend. We were on bugling bulls in no time, and the climb didn’t seem bad at all. Within a couple hours Ken let the air out of an aspen tree that happened to have a beautiful 6×8 bull on the other side of it. We licked our wounds and hunted on. The bugles continued throughout the day and the chase never let up, with another close call. As the sun was going down we made a hard push into a basin that was holding a couple screamers. We were lucky enough to get in front of the herd bull and his cows. At first glance there wasn’t a question whether I was going to pass on this bull. After running off a competitor, he was in hot pursuit of his ladies, and they were getting close. With a couple aggressive cow calls he stopped, slightly quartering away. My pin held strong and I squeezed it off. We watched the bull travel about 100 yards and bed down before expiring. We were pretty amazed walking up on this bull. I was blessed for sure! They grow ‘em pretty big in Arizona. Needless to say, I was very happy I made the choice to apply for elk in Arizona. Arizona is truly an amazing state offering some awesome hunting. I want to try an archery Coues deer hunt next. It was beautiful country and the people we met were great. I think everyone needs to experience Arizona at least once. Along with great elk, there are many other big game animals to hunt, as well as some great bird hunting. It seems most folks get turned off by the application process, feeling like they’ve missed the boat, or don’t want to wait years to draw. The truth is there are many great hunts that could actually be drawn year one or two, not to mention some over-the-counter tags. If you’re contemplating on next year’s hunt or want to get after big critters in the future, put Arizona on the list. We work with great outfitters throughout the state and would enjoy helping you with your hunt. You can call me direct, and I’ll do my best to help narrow down the right unit and hunt.